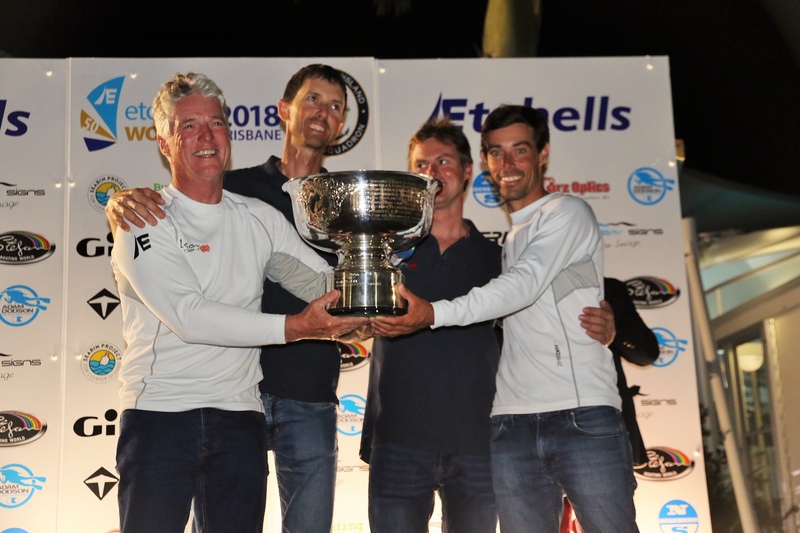 Recently our director, Martin Hill and the Lisa Rose crew took out the 2018 Etchells World Championship in Brisbane. “It was both a thrill and relief to cross the finish line in the final race to win the 2018 Etchells World Championship. Nothing can prepare you for such a competitive 94 boat fleet and a starting line that is 1.2 km in length. It was the combined skill of Julian Plante on Main, Mat Belcher on Tactics, Sean O Rourke on the jib/kite and Michael Blackburn as our coach, that weaved the magic to give us the 17 point winning margin”. Watch the video to hear Martin discuss what it takes to be a world champion. UTS Chancellor Catherine Livingstone AO selected Martin Hill from the 11 recipients to win the top award in recognition of his decades of professional success as founding director of property consultancy firm HillPDA, innovation as founder of internationally renowned EstateMaster Development Feasibility software, and commitment to social justice through several housing-affordability schemes, including founding not-for-profit Metro Housing.